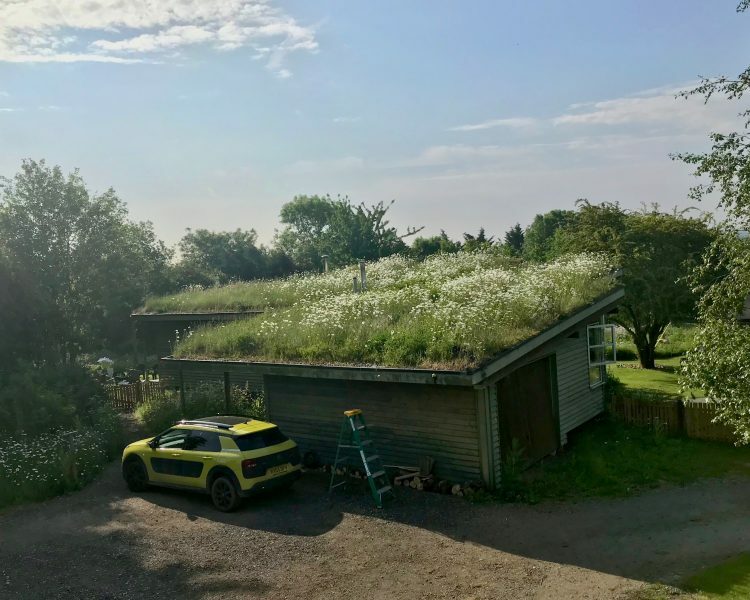 The small green roof guide, written by John Little and Dusty Gedge, started life in the grounds of an Essex property. In the first place the pair met there to commence writing the original pdf guide. Secondly, the grounds hold a plethora of green roofs. The first green roof dates back to mid 1990s and is still going strong. However, over the years John has created a wide range of different green roofs. On sheds, freight containers, bin and bike sheds. The grounds will host the forthcoming Urban Landscape Festival. Although the focus of the weekend event is more than just green roofs, attendees will be able to witness all the green roofs at the property. 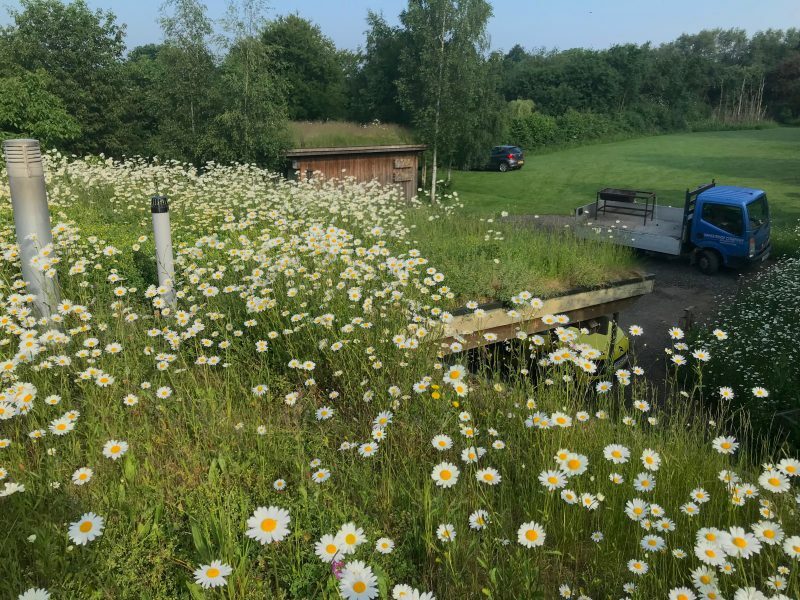 Because of this exciting event, that will be of interest to ecologists, landscapes architects, garden designers and the general public, we tought we would visited the roofs in the middle of May. 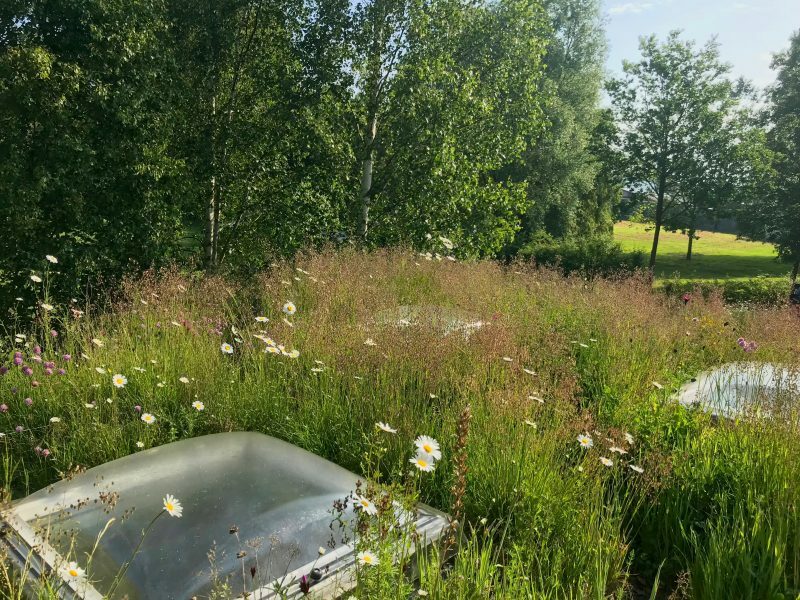 And they are looking just great, as is the both the wildflower meadows and the relatively new brownfield gardens.To book tickets for the festival please click here. The first roof built at Hilldrop rests on the main roof. Over the years a variety of wildflowers have appeared. Some have been temporary like the bee orchids that appear from no where a few years ago. Yet many have survived the vagaries of the climate and appear in varying amounts each year. Ox-eye daisies are currently holding court on the main house roof. Across from the main house is the summer house. This is a recent addition to the green roof menu at Hilldrop. Green roof shelters (GRS), which provides modular buildings with green roofs, also started out at Hilldrop. The design and of the base roof and the green roof element uses the GRS system. Whilst the soils from the foundations made up the substrate on the main house, the summer house has a commercially blended substrate. This provides the perfect growing conditions for a wide range of plants. A favourite is actually a grass – quaking grass (Brizia media), which is thriving here. Furthermore there is a greater variety of wildflowers on this roof compared to the main house. Although there are other green roofs on the site the final review is of a bin shelter. This is one of the modular green roof buildings provided by GRS. In fact, it is a complete habitat building. This particular one was produced for a show garden and has resided at Hilldrop for the last three years. Whilst the green roof is blooming with flax the bee walls/hotels are packed full of resin and other solitary bees. For more images of the green roofs at Hilldrop check out our gallery. 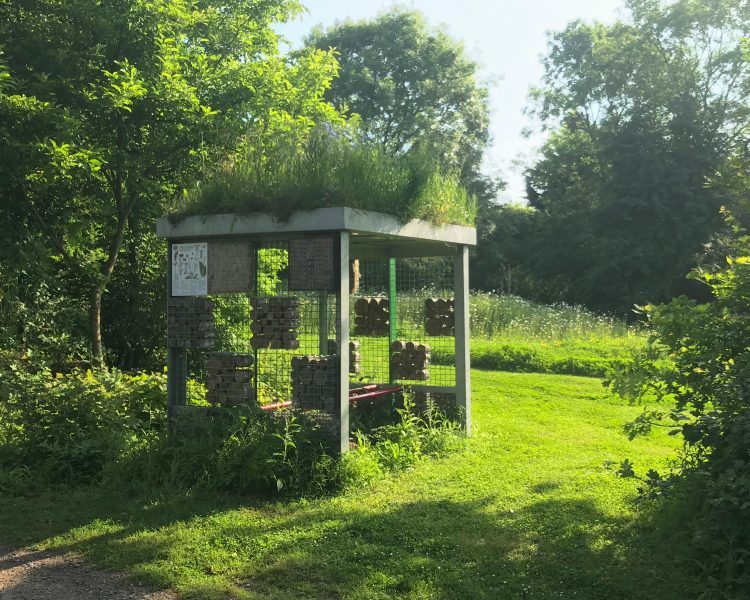 So not only is the Festival of Urban Landscapes worth attending for the knowledge and experience of all the speakers, it is a venue where the garden and roofs will surely inspire professionals and amateurs alike on how to create landscapes for both people and wildlife too. So why not book and experience the garden and the green roofs.